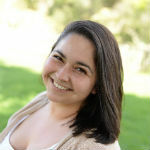 Felicity Landa earned her Bachelor’s in Creative Writing and Literature from CSU Long Beach in 2013, where she was awarded the Horn scholarship for her novel. She is currently an MFA student in Fiction and Screenwriting at UC Riverside Palm Desert. She spends her time reading, writing, editing, and raising her daughter, in Santa Barbara, California, where she lives with her family.